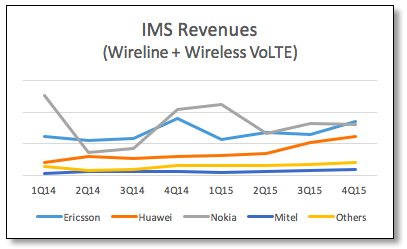 As voice-over-IP continues to take over the base of fixed-line voice subscribers, and as voice-over-LTE (VoLTE) begins to ramp, vendors must continually sharpen their strategies to capitalize on the transition from legacy core network technologies and invest in new technologies that allow their customers to better compete in an all-IP voice world. Our research reports outline the economics underlying these markets helping vendors, operators, and investors make sound investment decisions and to capitalize on emerging and transitioning markets. Exact Ventures has published quarterly market share reports for the IMS market since 2011. 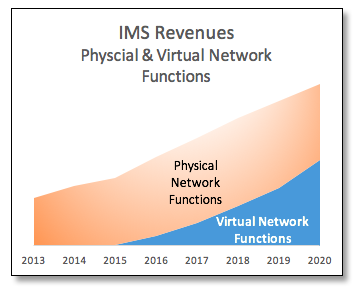 Exact Ventures’ IMS/VoLTE 5-Year Forecast Report separates each market segment between Physical Network Functions (PNFs) and Virtual Network Functions (VNFs.) revenues, session shipments and average selling price per session.